Want to get organized? This class is for you! This handy zip-up Tool Case stores and carries rotary cutters, scissors, and more. A variety of easy-to-access pockets in vinyl, mesh, and quilted fabric can be customized to fit the tools you use and love. 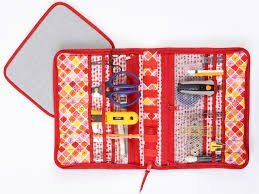 Bring a friend and join Margaret for this class and make your own sewing tool case. This would also make a fabulous make-up bag! 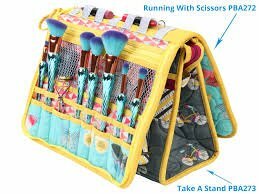 Requirements: The class requires the purchase of Running With Scissors Tool Case pattern @ $10.99 plus all materials required for the tool case. 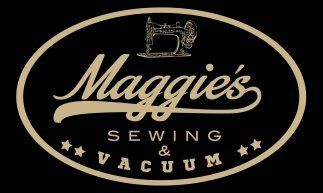 All materials are available at Maggie's and students receive a 15% discount.